The magic happens when you tilt the device up from the table. The more you tilt it, the more information about upcoming meeting items is displayed. Pearl Boy est une expérience basée sur Gooengine. La démo est constituée d’un univers en 3D, avec lumières, sons et interactions. Le tout avec un chargement rapide, c’est assez impressionnant ! SNCF Group, the European leader in high-speed passenger rail services, has invited the residents of Lyons to take a quick look at Brussels to celebrate SNCF’s direct high-speed line wich links the two cities in just 3 hours 20 minutes. From Wednesday the 20th of June, La Redoute (one of the major online retailer in France) will open virtual shops in 10 large towns throughout France. At the same time, the brand will launch a treasure hunt in via an augmented reality app for iPhone & Android, with 372 gifts to win. 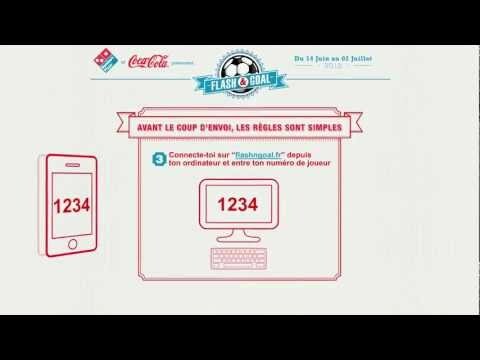 During the Euro 2012, Domino’s Pizza France & Paris-based agency Napkin are mixing mobile & football to bring pizza fans a new experience! Best Tweet-based ad campaign EVER! Smart Argentina has done the most creative use of Twitter i’ve EVER seen! Clear Channel and Posterscope commissioned an in-depth research study into the perception and adoption of the technology on almost 1,000 online interviews with smartphone owners. Picle for iPhone: What would Instagram sound like? Picle is just one of those simple ideas you are jealous you didn’t have it first: moments are made of pictures and soundbites, so let’s capture both at the same time. Dead simple idea, yet a terrific concept! Francis Lengatse on Does Gmailman actually look at pictures too? Guillaume Borniche on Une idée d’appli mobile ? Participez au Star’App Trophy !